Advantage Sliding System 20 (HT9000-20118) is a coated Double Sided Gloss Acrylic 20 oz. is developed for its extreme durability, pliable feel, resilience to the elements and great strength. 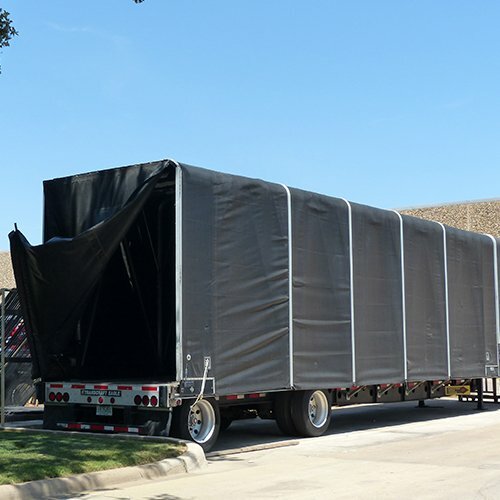 This universal product has a smooth surface and flexible durability that is intended for truck tarp sliding systems with the additional benefits of an easy to clean gloss acrylic lacquer topcoat that is digitally printable.